THOMAS K Hardy and Dizzy 201 wines are set to make a mark in Malaysia after a grand introduction in a wine-pairing dinner at Hotel Istana. The session was led by Thomas Keith Hardy, who is in the fifth generation of the Thomas Hardy wine making dynasty. 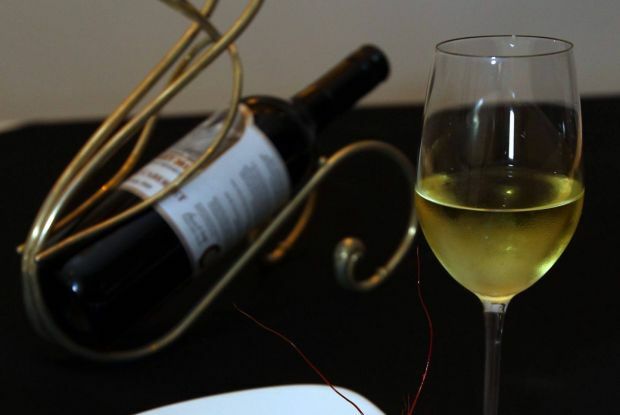 Hardy said although wine taste was a personal preference but when complemented by the right cuisine, it delivered a lively composition that pleased the discerning palate. “While this event allows me to introduce my latest range of Dizzy 201 wines to my Malaysian friends, it also gives Hotel Istana and myself an opportunity to work together to serve you with exquisite servings that are sure to excite the tastebuds,” he said. 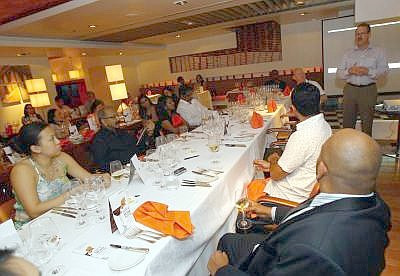 About 50 guests attended the event that was held at the hotel’s Urban Restaurant. Listen up: Guests paying close attention to Hardy before the food was served. The dinner kicked off with 2010 Dizzy Vintage Reserve Chardonnay which was a favourite for many. The wine was paired with a Chilled Pea Valute with Bacon Foam Rock Oyster and Avocado Garlic Cream and Salmon Roe. Malaysian disributor JFS Boutique Spirits business manager Felix Darrel said the wine was sourced mostly from the grapes grown in the Adelaide Hills, giving it elegant floral and tropical characteristics blended with small parcels from other Australian premium wine regions to add extra palate weight and complexity. “It is crisp, elegant and full of tropical fruit flavours and it drinks beautifully now, but will also develop well with bottling age,” he said. Another favourite was the 2009 Thomas K Hardy “Imprimatur” chardonnay paired with Seared Diver Scallop with Cauliflower puree, Australian Red Claw Salad, Apple Curry Mayo, Mixed Cress and Truffle dressing. “The bouquet is bursting with nectar like apricot and peach aromas. The palate is luscious with banana and pineapple overtones. The wine has a delightful lingering finish with citrus like crispness,” Hardy explained. The main course of grilled Australian grain-fed beef tenderloin, served with king mushroom, glazed turnip and marjoram with olive sauce was paired with the deep regal red 2008 Thomas K Hardy ‘Family Tradition’ cabernet souvignon. “These grapes are sourced from Padthaway wine regions in the Limestone coats of South Australia. The bouquet has pronounced aromas of blackberry and cassis fruits with hints of truffle. The wine’s palate has generous mouth-filling black fruit with earthy Cabernet overtones, well- balanced tannins and a long finish,” Hardy said. The flagship Dizzy 201 wine, the 2005 Dizzy 201 commemorative shiraz sourced from 80 year-old vines from the Barossa Valley in South Australia, was a deep plum colour with red brick hues. It was paired with an Australian cheese selection. 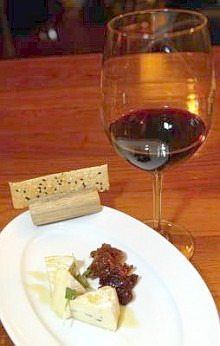 Showcase: The flagship Dizzy 201 wine— a 2005 Dizzy 201 commemorative shiraz — served with an Australian cheese selection with fig compote,honey and cranberry chutney. “The bouquet amazes the senses with lifted aromas of fresh raspberry, cassis and mulberry fruits with hints of jasmine and exotic spices. “The palate has a succulent core of ripe fruits that fill the mouth and are balanced with subtle spicy oak characteristics and velvety tannins. Perfect to drink now but will respond well to cellaring for more than twelve years,” Hardy said. The brand has also earned a good reputation in the wine industry through its production of premium wines including the Thomas Trek shiraz cabernet Sauvignon 2008, which was awarded four stars by Winestate magazine in May 2010, “Thomas Trek Philosophy” and “Imprimatur” chardonnay 2008.